Are you tired of feeling insecure about your imperfect teeth? You can get a picture-perfect smile with porcelain veneers in Hillsboro. By attaching them to the front surfaces of your teeth, you instantly hide your flaws. You are left with a dazzling white smile that looks natural. The process will involve permanently altering your teeth, so you want to make sure it is done right the first time. With many decisions to be made, it is best to choose a cosmetic dentist who is experienced in the procedure to give you exactly what you want. Porcelain veneers are among the top cosmetic dental procedures performed because they allow you to achieve drastic results using a minimally invasive solution. Custom-made thin shells are bonded to your teeth to improve their size, shape, and color. With the use of porcelain, you will enjoy natural-looking results and many advantages that are not possible with other materials. Porcelain allows the veneers to be thinner, so less of your tooth’s structure is removed during the bonding process. This makes the procedure less invasive while keeping more of your enamel intact. Porcelain is also stain-resistant to maintain a long-lasting white smile. How Can I Get the Exact Smile I Want? Choosing veneers is a big decision. You will have to commit to them for the rest of your life because the procedure is not reversible. Therefore, you want to take the time to determine the exact shape, color, and length you want. You will need a cosmetic dentist in Hillsboro who will take the time to discuss your wishes and implement a strategy to help you accomplish them. After you have found a qualified and experienced dentist, you will have an initial consultation to ensure you are a candidate for the procedure. 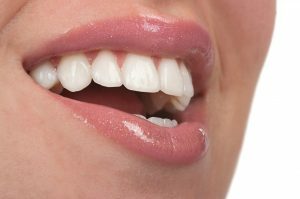 Generally, if you have healthy teeth and gums, you can get veneers. The transformation process will begin by cleaning your teeth and lightly etching their surfaces to ensure the veneers sit flush. Digital scans of your mouth are taken, which integrate with state-of-the-art software. This allows your dentist to create your veneers to your exact specifications, including their size, shape, and color. Once your veneers are made, they are bonded in place. With the right aftercare, your new smile can last an average of 10 years before needing to be replaced. Get a Flawless Smile Today! If you are ready for a confident smile, porcelain veneers can help. In addition to earning his Doctor of Dental Surgery degree, Dr. Brandon S. Kearbey regularly continues his education to provide his patients with advanced services, including cosmetic dentistry. He can help you get the healthy, beautiful smile you have always wanted with porcelain veneers. Contact our office today to schedule your consultation.